Land is becoming more fragmented. Most people simply can’t afford to buy hundreds of acres, especially for recreational use. Most hunters only have access to small parcels. But big acreage isn’t necessary for giant results. These tips will help you maximize the land you have and put more and bigger deer in the back of the truck. One of the properties I’m privileged to hunt is well over 700 acres of whitetail woods. I do a lot of scouting from home with Google Earth and government topographical maps. Still, every time I’m on that property I’m learning something new or seeing something I didn’t know was there before. On smaller properties, this shouldn’t be the case. There is not a lot of ground to cover so knowing what is happening shouldn’t be a problem. You can scout from home and walk the property in the off season. But perhaps the best scouting is done from the tree stand. You’re in the woods when the deer are and the high vantage point is very beneficial. Take a notebook along or use the notebook feature on your smartphone if you have one. Put together a journal and never stop logging your sightings. Things change, even on small properties. 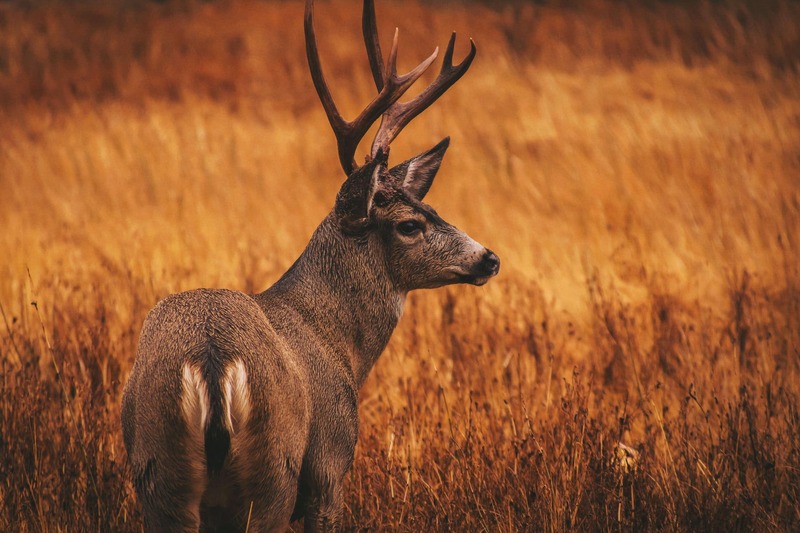 If you’re hunting on a thousand acres and you blow deer out of part of the woods, chances are the deer are probably just going to run onto another part of your property. The same activity on small acreage will likely push them onto neighboring properties. Run ATVs on state trails and other places you won’t be hunting. When you go in to set stands try to get all of your gear organized before heading into the woods to minimize the amount of trips required. A big mistake many hunters make is checking their trail cameras too often. If you’re pulling cards more than once a month, you’re probably putting too much pressure on the area, especially if you have a small property. 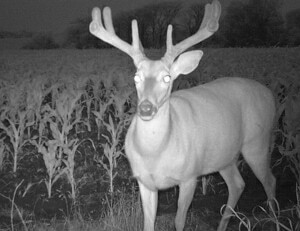 Mature bucks live where they feel safe and secure. If they feel hounded, they’re headed for greener pastures. Anytime you enter your property you should treat it as a hunting trip. Shower with scent eliminating soap, wear rubber boots, and spray down with scent eliminators. This should be standard practice for hunting, scouting, setting stands, or checking cameras. Anytime you go into the deer’s house, you should be aware of what you’re leaving behind. Make your property more attractive to deer. Most hunters and property owners do this with food plots. But putting plants in the ground isn’t the only thing you can do. If cover is really thick along fence lines, cut a trail in. Making it easier for deer to walk on your property will help keep them on your property. It doesn’t mean you have to hunt on the fence line. You’re just encouraging deer to walk on your property instead of next door. Mineral blocks, mock scrapes, and baiting or feeding(where legal) will also help keep deer on your property. It’s important anytime, but when hunting a small property a good relationship with your neighbors is vital. At some point a wounded deer is going to jump a fence. In most states it is illegal to pursue an animal, even a wounded one, on private property without permission. Stop by and talk to your neighbors. Get their phone number. Ask them if they would be open to you recovering an animal on their property. Most are more than willing but would like a phone call first. Remember, you will have to reciprocate. Also keep in mind that most people are happy to allow it once in a while. But if you’re calling them every season, it’s going to get old. Practice your shooting and only take shots you’re 100% confident in. This one also goes along with #4. If there are a lot of food plots in your area, a food plot probably isn’t going to do you much good. On the other hand, if you’re hunting in big woods country, a food plot will bring deer in from miles away. If the soil is sandy and there isn’t much water, providing a water source will attract deer like a magnet. In open areas providing cover will attract deer. Take a survey of what is available to deer in your area and give them something they can’t get anywhere else. Giant bucks are taken on small properties every year. It does take a little more effort but the satisfaction of doing something great with limited resources is well worth it.